Save Samizdat is a website that has videos of a(n) (art? direct action?) group that interferes with daily life, particularly that of the art elite an their museums and galleries, by bring animals into the mix. 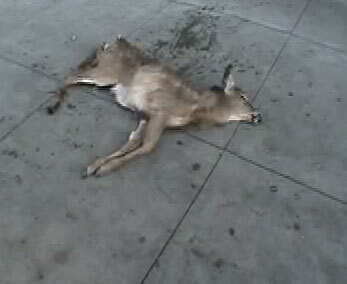 The most striking of these videos, in my opinion, is that of a roadkill deer left on the steps of the New Museum. All hail anti-art!